No revenge for the old codgers as the young whippersnappers of the D Team completed a double against us. Unfortunately our top board Joe Valerio had to pull out on the day because of illness, so Nigel Walker who, as luck would have it, had just returned after a 6 month break from chess was able to step into the breach, playing on board 4. Lucian Cox never got enough for his gambit pawn and Nigel eventually cashed in for a win. However gone are the days when you could pretty much say two Walkers – two wins. Robert Walker, having achieved a winning position, blundered twice against Callum Shields. He might have survived one blunder but not two. 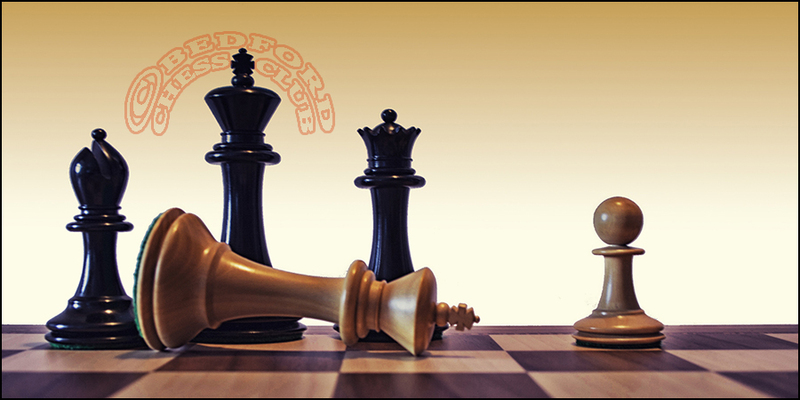 Mac MacKenzie got into a King and pawn ending a pawn down against Ben Pike and eventually succumbed. I couldn’t work out what was going between Richard McMorran and John Harbour. At one stage I think Richard had two minor pieces for rook and pawn but then he seemed to have cornered John’s King with a tasty choice of dangerous discovered checks. It ended in a draw – perhaps by a perpetual check for one or other! Regular readers will have noticed more than the usual lack of detail in this report. Playing on Board 1 for only the second time in decades I had my hands full playing rising star Toby Cox. I knew he would play the French and decided to follow our last game (in which I managed to scrape a draw) but carelessly played e5 instead of Nc6 on move 3 and found myself in unfamiliar territory. He soon equalised and throughout the middle game he was better but never by very much. As the first time control loomed I wasted a lot of time pondering a Knight sacrifice to get at his King. (It would have been a disaster.) In the end I opted for exchanging off the rooks and got to a drawn ending which, short of time and endgame technique, I duly lost. Previous PostPrevious January gradings are out!